If you’re an airline promotion junkie, you better watch out. A police report was lodged by Malaysia’s low-cost carrier AirAsia over a scam called the “2014 AirAsia High 5 Bonus Khas” (2014 AirAsia High 5 Special Bonus) which uses the company’s name to collect personal information from the public. AirAsia Group legal head Amir Faezal Zakaria said the report was made at Dang Wangi on Friday followed numerous public complaints received by the airline on the lottery programmes via email. He further clarified that the company never authorized any organization, company or individual to hold a lottery programme. 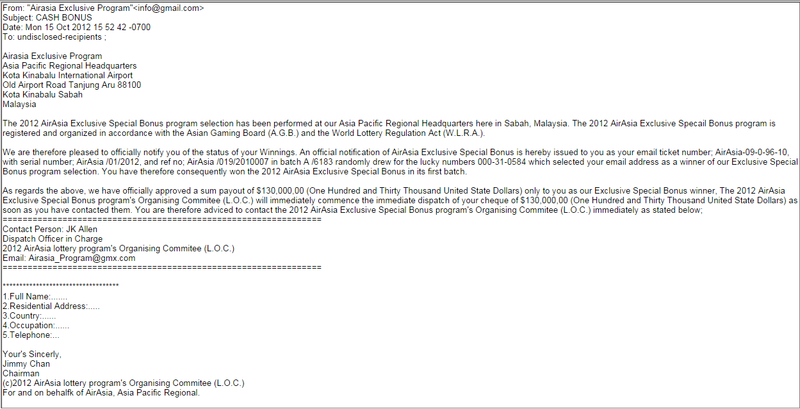 The email scam, which promised a M300,000 cheque, had reportedly been in circulation since 2011 and targeting mainly Sabahans. The sender(s) identified themselves as AirAsia (Asia Pacific Regional Headquarters) is using Kota Kinabalu International Airport, Old Airport Road , Tanjung Aru Sabah as their business address. The email goes on claiming the programme is registered and organised in accordance with the Asian Gaming Board and the World Lottery Regulation Act. The email will provide an “official notification” and issued a ticket number which start with “AirAsia” followed by six digits. 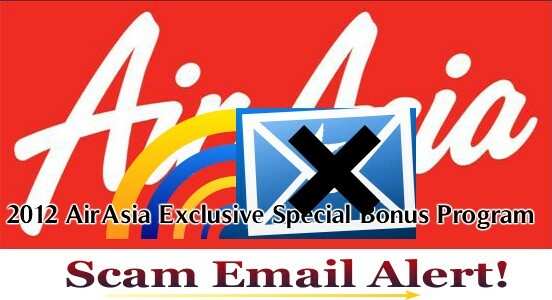 Recipients are then asked to contact the organisation’s committee, named JK Allen or Jummy Chan via dodgy email addresses such as airasiaexclusive@admin.in.th or airasia@gmx.com. The email also asked the “winner” to include their personal information such as full name, address, telephone number, country and occupation. 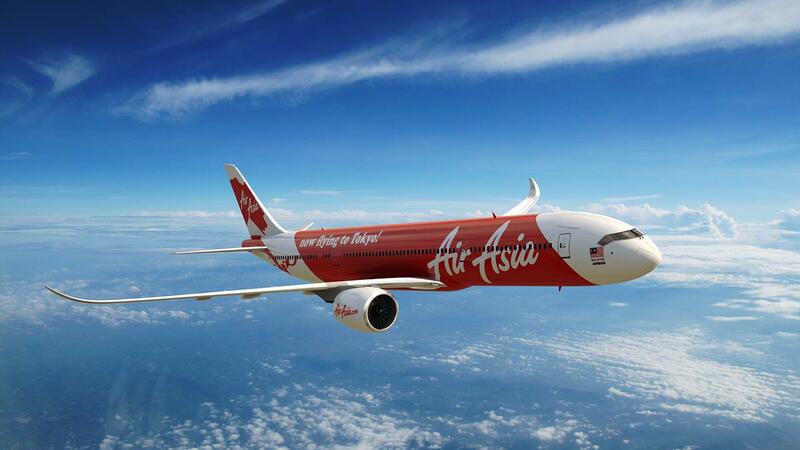 “We advise the public to ignore such email messages as it is fraud, and AirAsia shall not be held liable for any claims pertaining to the false lottery programme,” Amir Faezal quoted saying by The Malay Mail. He added that the official email address for the company’s staffs is staffname@airasia.com. The public therefore should ignore any offer or request via email which uses non-official email addresses. Turns out people are still falling for scams despite the tell-tale signs. In Malaysia, RM68m has been lost to love scams alone. So readers, do be careful when dealing with incredible deals and promotions. As a rule, check that the email is always staffname@companyname.com, check official websites and social media channels, and when in doubt, do a quick google search. The internet is behind you.